Aqua Pearl Pools can provide all your commercial pool, spa, and fountain repair, renovation, and service needs. 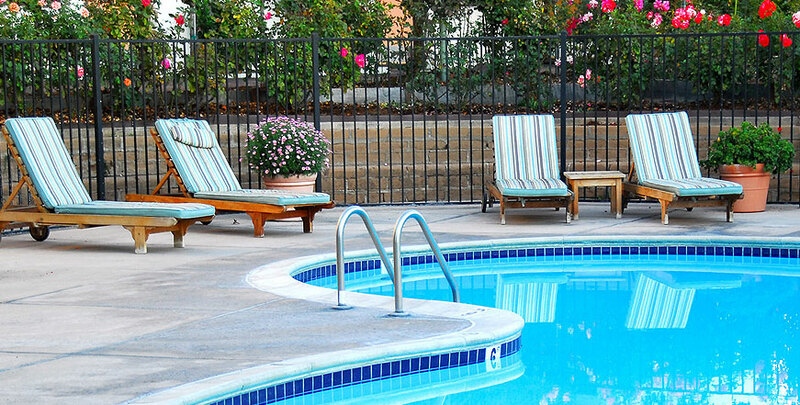 We offer complete pool renovation, maintenance, and servicing for our commercial customers. We provide all our services to clients ranging from community pools, water parks, hotels, condominiums, and more. We are committed to providing the highest quality pool service in the industry with well trained staff, quality equipment, staff support and advanced communications. We are up to date with all pool and spa rules and regulations and can check your facility to confirm you meet all current standards. We work with most major manufacturers to assist clients with warrantee claims and equipment updates. We also work with commercial pool builders to assist with warrantee claims and turnover of new facilities to commercial clients. Tile and Coping repair and replacement with hundreds of options available and Pool resurfacing that includes many options from advanced Pebble Tec to basic plaster. Whether you want your pool chemicals balanced, a second opinion or want full service for your pool and spa, Aqua Pearl Pools, can do the job. Our friendly technicians have the expertise to get the job done right the first time and they’ll check for leaks and other maintenance problems too. We take pride in providing the best in customer service and taking the shortest amount of time possible to clean your pool or spa. Aqua Pearl Pools is committed to improving the quality of pool service and operations throughout the Austin area. We are always available for a call or email with questions and we will do our best to assist with finding a solution for your problem.